www.jamesfoyplumbing.co.uk is operated by James Foy Plumbing LTD ("We"). We are a Limited Company registered in England and Wales under company number 08354918 and have our registered office and main trading address at 14 Red Rum Close, Liverpool, Aintree - L9 9HT. Access to our site is permitted on a temporary basis, and we reserve the right to withdraw or amend the service we provide on our site without notice. We will not be liable if for any reason our site are unavailable at any time or for any period. You may print off one copy, and may download extracts, of any page from our site for your personal reference. 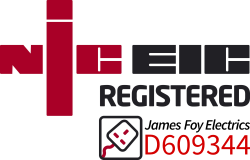 James Foy Plumbing LTD does not warrant that the information accessible via our site is accurate and assumes no duty to update such information. We do not accept liability for any errors or omissions. https://www.jamesfoyplumbing.co.uk have a privacy statement for all clients. All personal details that you give us are securely stored. We do not supply or sell customers details to any outside organisation.